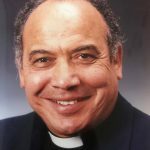 We regret to announce to the Province the unexpected death yesterday of the Revd Canon Rowan Quentin Smith, a former Provincial Executive Officer and former Dean of Cape Town. Father Rowan broke his hip in a fall at St George’s Cathedral on Good Friday, and appeared only recently to be recovering steadily. He was educated at Kensington High School, Cape Town, King’s College, London, and St Boniface Missionary College, Warminster. He was ordained Deacon in St. Nicholas’ Church, Matroosfontein in 1967 and Priest in St.
George’s Cathedral in 1968, by Archbishop Robert Selby Taylor. He spent the decade from 1977 as first a novitiate and later a professed member of the Community of the Resurrection, serving for a period as Chaplain to St. Martin’s School, Johannesburg. After being released from his vows, he became in turn Chaplain to the University of Cape Town, Chaplain to Archbishop Desmond Tutu and Provincial Executive Officer until Archbishop Tutu’s retirement. He then served as Dean of the Cathedral from 1996 until his retirement in 2010. His funeral will be held in the Cathedral at 9 am on Saturday June 2. The Right Revd Mfaniseni Sigisbert Ndwandwe, a former Bishop-Suffragan of Johannesburg who was detained without trial during the 1980s uprising against apartheid, has died in Jouberton in North-West Province. He was 89. Bishop Ndwandwe was first ordained a priest of the Roman Catholic Church and earned the degree of Doctor of Canon Law. After he became an Anglican priest, he and Dean Tom Stanage were elected in 1978 as bishops-suffragan of Johannesburg to assist Bishop Timothy Bavin. At that time, the Diocese of Johannesburg stretched from the Swaziland border in the east to the Botswana border and the Diocese of Kimberley and Kuruman in the West. Bishop Sigi, as he was fondly known, was based in Jouberton and served the western part of the Diocese. During the uprising against apartheid which began late in 1984, Bishop Sigi and Bishop Simeon Nkoane, who had later been elected to replace Bishop Stanage, both worked with young anti-apartheid activists in their communities and were subjected to attacks by apartheid forces. 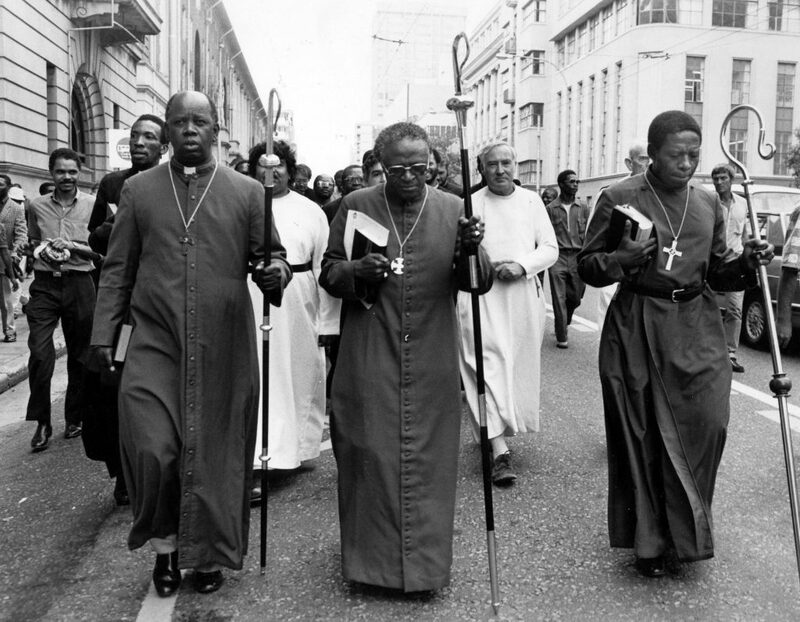 In 1985, they joined Bishop Desmond Tutu, recently enthroned as Bishop of Johannesburg, and two dozen other priests in an illegal march to police headquarters in Johannesburg in protest against the detention of Father Geoff Moselane of Sharpeville. Father Moselane was later charged with UDF activists in the Delmas treason trial. In April 1986, Bishop Sigi’s house in Jouberton was fire-bombed. In response, police arrested him on charges of public violence. They released him, only to re-arrest him under the Internal Security Act, then strip-searched him in public and detained him without trial for 99 days on a claim that he had conspired to murder policemen. He was later named by the then Archbishop Tutu to a panel of four bishops who were appointed to promote peace during the conflict of the late 1980s and early 1990s in KwaZulu-Natal. Bishop Ndwandwe is survived by his wife, Dorcas, his children, Mbuso, Donald and Angie, eight grandchildren and two great grandchildren. His funeral service is at 8 am on Friday May 11 at the Diocesan Centre of the Diocese of Matlosane. Please note that this report has been corrected to reflect the correct date of Bishop Sigisbert’s funeral. It is Friday May 11, not May 18 as previously recorded. Our apologies for the error. Thank you also for Fr. Amoore (see comments below) for pointing out that Bishop Sigi was elected at the same time as Bishop Tom Stanage.